Clara Doris Moffat Lancaster Cox was born July 13, 1941 to Ralph Wearing Moffat and Clara Mace Waddell in Idaho Falls, Idaho. She was second in a family of five children. She grew up in Teton Vally and graduated from Teton Valley High school in Driggs Idaho. She grew up learning to work hard on a farm. When Doris was in fourth grade they got electricity. They never did get running water in that home. She enjoyed school. Her favorite subjects were English and Science. She excelled at softball and volleyball. After her junior year of high school she took a job as an assistant ranch hand at Senator Hansen’s Ranch in Jackson. While working there she met a handsome cowboy from Star Valley who stole her heart-Joel Arden Lancaster (“Bud”). After her graduation they were married and sealed in the Idaho Falls Temple. They lived in Smoot on a farm and started a family. They were happy there and welcomed there first son, Joel, on August 9, 1959. Their happiness grew more as they welcomed a baby girl, Jerolyn, on January 1, 1962. Nine months later on October 2 tragedy struck when Bud was killed in a hunting accident, leaving Doris alone with two babies and one on the way. Six months later in Alta Idaho, she welcomed a baby boy, Kendell, on April 4, 1963. She decided to move back to their home in Smoot, Wyoming. She worked hard to take care of her little family. On August 4, 1965 tragedy struck again when Joel, at age five, was killed in a horse accident. This was a challenging time in her life. She became close friends with Mary Cox. They enjoyed sewing, canning, and doing projects together. In May of 1966, Mary’s life was taken in a car accident leaving five children without a mom. At the age of 25 years old Doris said yes when Marvin Cox said, “My kids need a mother and your kids need a Dad and I think we could make this work.” They married July 19, 1966 for “time” in the Idaho falls temple. Doris went from raising two children to raising seven overnight. She enjoyed working with the youth and doing temple work. They welcomed a new baby, Shane M. Cox on July 18, 1967. Doris liked to keep busy with gardening, sewing, going on picnics, and spending time with the kids. She was an excellent cook. Her second husband, Marvin, died January 11, 2006 in Idaho Falls. It was a lonely time in Doris’s life. 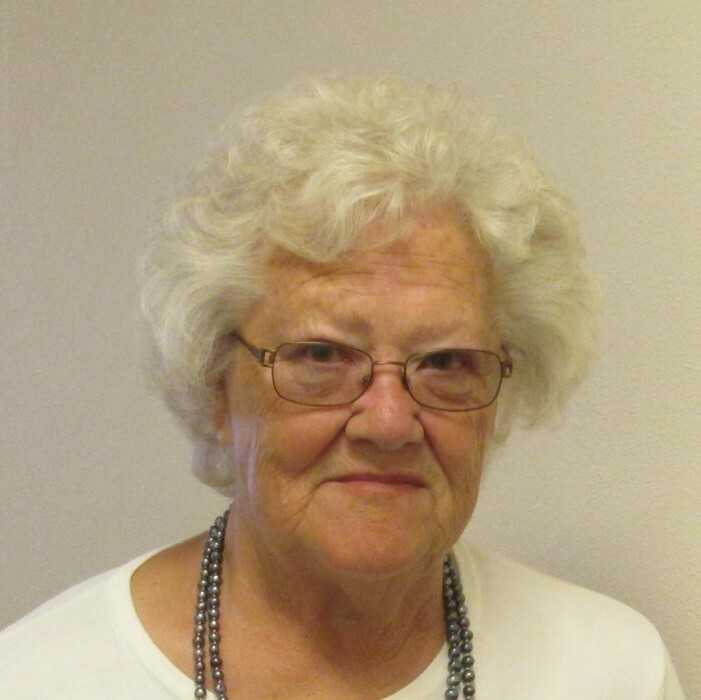 She suffered a massive stroke and later passed away at the Star Valley Hospital on January 22, 2019. Doris was preceded in death by her parents, her husband Bud and her second husband Marvin, a sister Rayola Larsen, a brother DeWayne Moffat, and her son Joel Lancaster. She is survived by eight children: Marvin Kay (Susan) Cox; Shauna (Dennis) Dorrity; LuAnn (Mel) Porter; David (Lynette) Cox; Jerolyn (Darren) Haderlie; Kendell (Tesha) Lancaster; Kevin (Danielle) Cox; Shane (Loree) Cox; brothers, Raymond Leon Moffat; Warren Waddell Moffat; 37 grandchildren; 75 great grandchildren and two great great grandchildren. Funeral Services were held January 26, 2019 at the Osmond Chapel. Internment was in the Afton Cemetery.